For the 3rd time, I will accompany the Healing the Children Northeast’s annual trip to Ica, Peru to perform cleft lip & palate surgery. On the first clinical day of every trip, we screen roughly 120 pediatric patients who travel from all over the region (some up to 24 hours) for appropriate surgical candidates for primary and revision cleft lip & palate surgery. In years past we have performed between 60-70 surgeries throughout the week. Additionally, our team of speech and language pathologists work with both post-operative and non-operative patients on various treatment strategies to improve speech and swallowing. Our patients range from 4 weeks to roughly 21 years in age. A large percentage of our patients come from the Amazonas region in northern Peru. These patients are extremely limited in access to healthcare and in many cases their visit with us is their first contact with a physician. Cleft lip and palate surgery is extremely fulfilling because of the immediacy of impact. 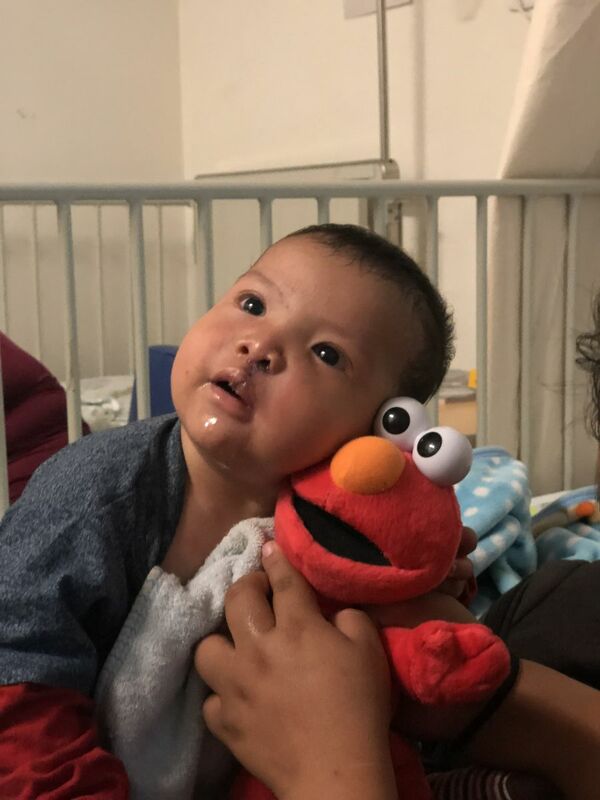 After repair of the cleft, patients experience improvement in speech production and safe swallowing mechanics. Equally as important, they are relieved of the physical stigma of being born with a congenital facial deformity. I am a 5th year otolaryngology resident at UC San Francisco and will be pursuing fellowship training in facial plastic & reconstructive surgery in New York City next year. 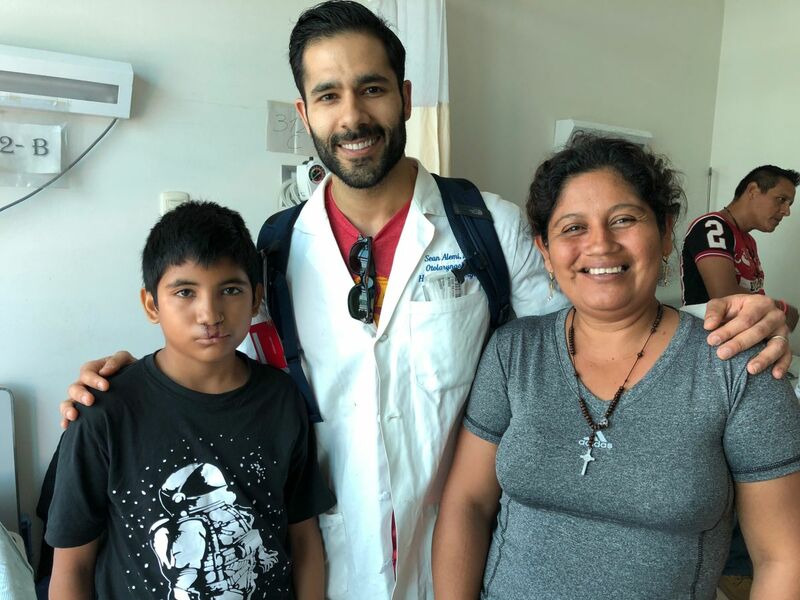 I am extremely passionate about humanitarian outreach and in addition to this trip to Peru, I will also be traveling to India this year for a 2-week cleft lip & palate surgical mission. These trips are invigorating and humbling, although they do pose a financial burden with a resident’s salary. I greatly appreciate the Doximity Foundation’s consideration of my application and would be happy to provide any additional information if necessary. 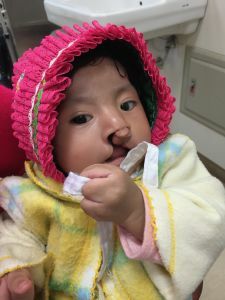 In April 2018, the Northeast and Northern California divisions of Healing the Children recently completed their fifth annual cleft lip and palate mission to Ica, Peru. 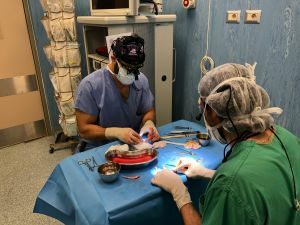 In partnership with the AAFPRS Foundation’s FACE TO FACE Program, the 36-person mission team was led by Dr. Evan Ransom, an ABFPRS certified facial plastic surgeon from San Francisco, CA and Dr. Joseph Rousso, MD, FACS, an ABFPRS certified facial plastic surgeon from the New York Eye and Ear Infirmary of Mount Sinai. Additional surgical staff included Augustine Moscatello MD, an otolaryngologist practicing in Westchester, NY, Jordan Virbalas, MD a pediatric otolaryngologist from UCSF Benioff Children’s Hospital in Oakland, CA, Scott Mosser, MD a general plastic surgeon practicing in San Francisco, CA, Sean Alemi MD, a fifth year otolaryngology resident from the University of California, San Francisco and Kirk Lozada, MD a fourth year otolaryngology resident from the New York Eye and Ear Infirmary of Mount Sinai. Anesthesia care was provided by a stellar group from Cook Children’s Hospital in Fort Worth, TX and Yale New Haven Health in CT.
As in years past, the team began their mission by being enthusiastically greeted by a waiting room full of families and their children, some of who traveled up to 48 hours to reach The Hospital Regional de Ica. With the assistance of pediatricians, speech and language pathologists, anesthesiologists, nursing staff and several local medical student volunteers, the team nearly matched last year’s record by screening 125 patients this year. From this group, the surgical team successfully completed 75 operations during the week – highlighted by 18 primary cleft lip repairs, 29 cleft palate repairs, 4 frenuloplasties, three cleft rhinoplasties, two first stage microtia repairs, and a second stage microtia repair on a follow up patient the on whom the group had performed a primary repair the preceding year. 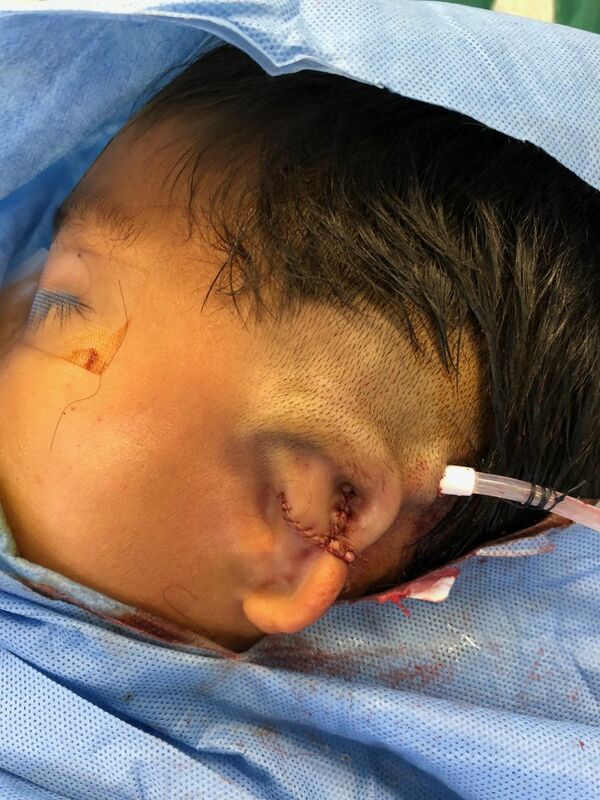 Additionally, with the addition of Dr. Scott Mosser’s expertise in general plastic surgery, the team also performed one syndactyly repair as well as release of a severe upper extremity scar contracture. Once again, the speech and language pathology group worked with a large group of previously-repaired patients, as well as children from the community with non-surgical speech and swallowing disorders. I'm sincerely grateful to the Dox Foundation for their generous support of this humanitarian mission. The team is already gearing up for next year’s mission. To learn more about Healing the Children, visit www.htcne.org and www.HTCNorCal.org. 1. A patient who traveled over 24 hours from the Amazonas region for her cleft lip repair. She is pictured in a traditional hand woven garment. 2. 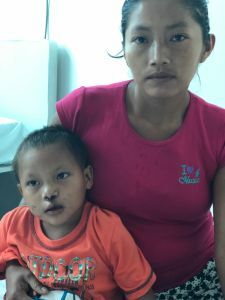 A patient and his mother pictured after repair of his cleft palate. 3. 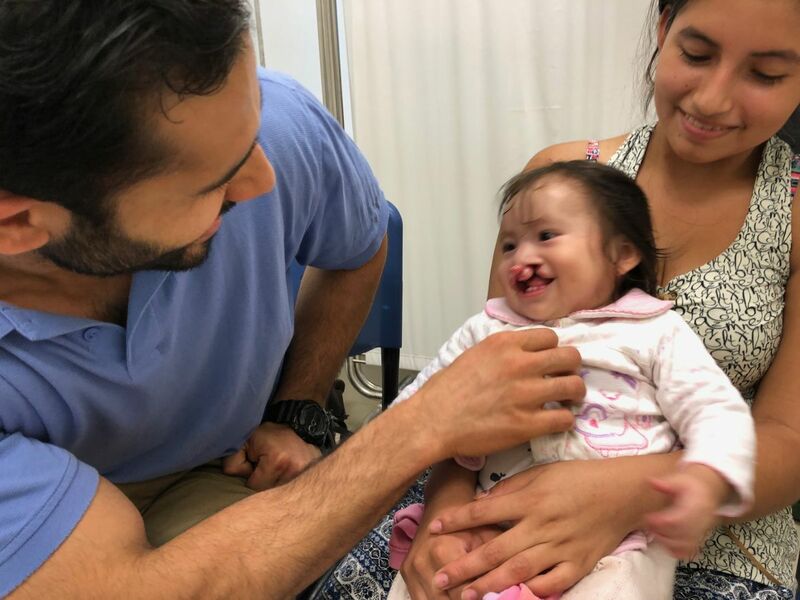 Dr. Sean Alemi (left) greeting a young patient with cleft lip and palate on screening day. 5. A young male patient immediately following first stage microtia repair using rib cartilage. 6. A patient pictured following repair of cleft lip. Stuffed animals were donated by our organization.